Have you experienced the first snow of the season yet? I grew up where it snowed sometimes as early at October and lasted into March! Now I live in the south where it doesn’t snow. The kids in my preschool classroom have no idea what it’s like to be cold…I mean really, really cold. There are very few who may have been in the snow before. 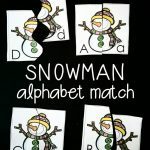 This is why I’m loving this printable melted snowman alphabet match game. This is what snowmen would look like in the south for sure! 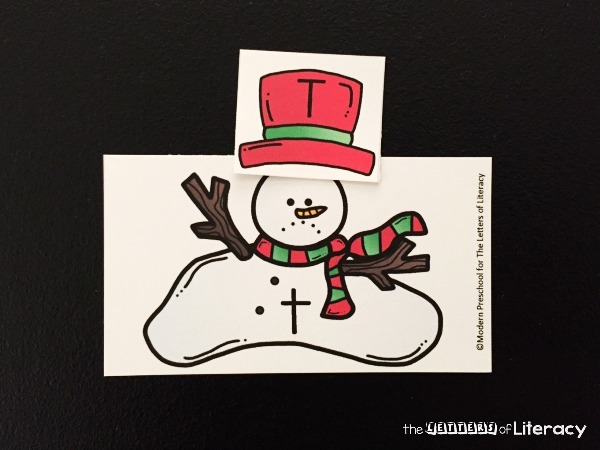 This free printable set includes 26 melted snowmen and 26 coordinating hats. 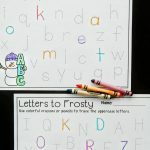 Each snowman has a lowercase letter on it. Each hat has an uppercase letter printed on it. 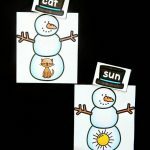 The object of the alphabet matching activity is to place the hat on the correct snowman. 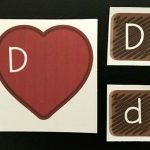 I am not a fan of cutting out intricate pieces to learning activities, so I try to keep everything easy for others too! Simply cut the snowman and hats apart on the dotted lines. If you are laminating the pieces, I would recommend laminating the pages before you cut. This way you don’t have to cut everything out twice! The learning level of the children you are working with is important to consider as you are setting up this activity. In my classroom, I like to introduce small group or independent centers as a whole group if the activity will be used by the entire class. 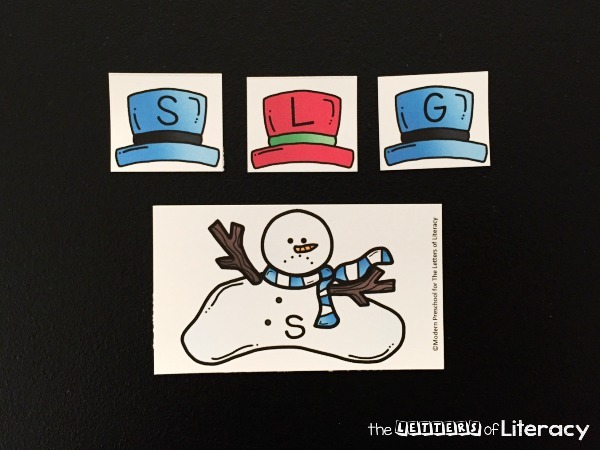 If using all 26 letters will be frustrating to your learners, begin the activity with a smaller number of snowmen and hats. 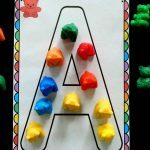 With my 3 and 4 year-olds, I like to divide up printable activities onto different trays for my students to sit at individually and play. Each tray may have 5-8 letters on it. After a student has completed the sets on his tray, he can play again or switch to another tray to play! Two years ago, I had a group of preschoolers who loved to work together. 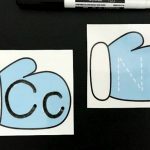 With that group, I would spread the printable learning activities across one of the tables in our classroom. 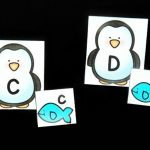 They would all work together finding the letters and matching them correctly. The best part about this group of students was how the higher leveled preschoolers would help out and teach the other students during the game. And they would all be in to play (and learn) again! Playing on the table or carpet isn’t always engaging enough for some kids. 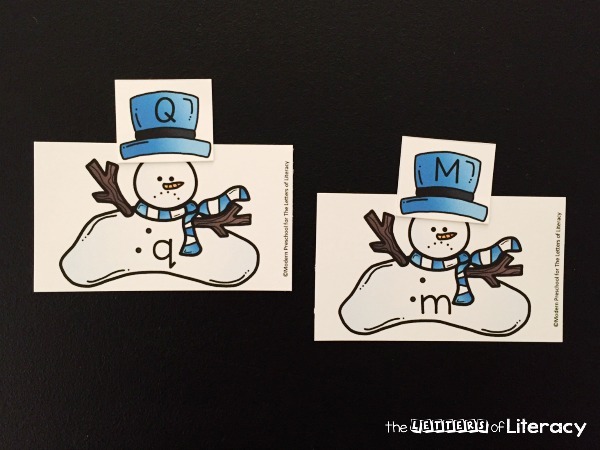 A great way to move the melted snowman alphabet match game to a vertical surface is to add magnetic tape to the back of the pieces. Use a white board as the background to look like snow! 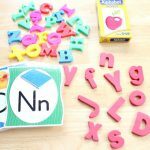 Ready for some alphabet matching fun? 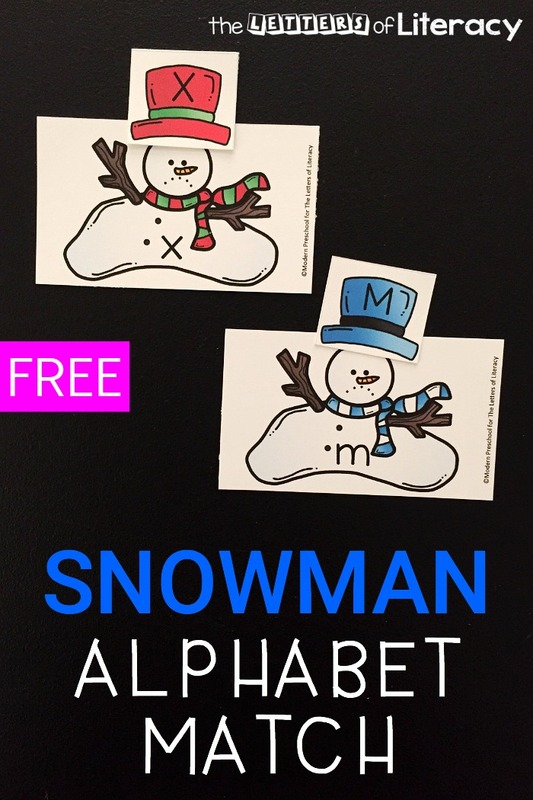 Grab your copy of the melted snowman alphabet match by clicking the blue button below. Looking for more great learning activities with a winter twist? 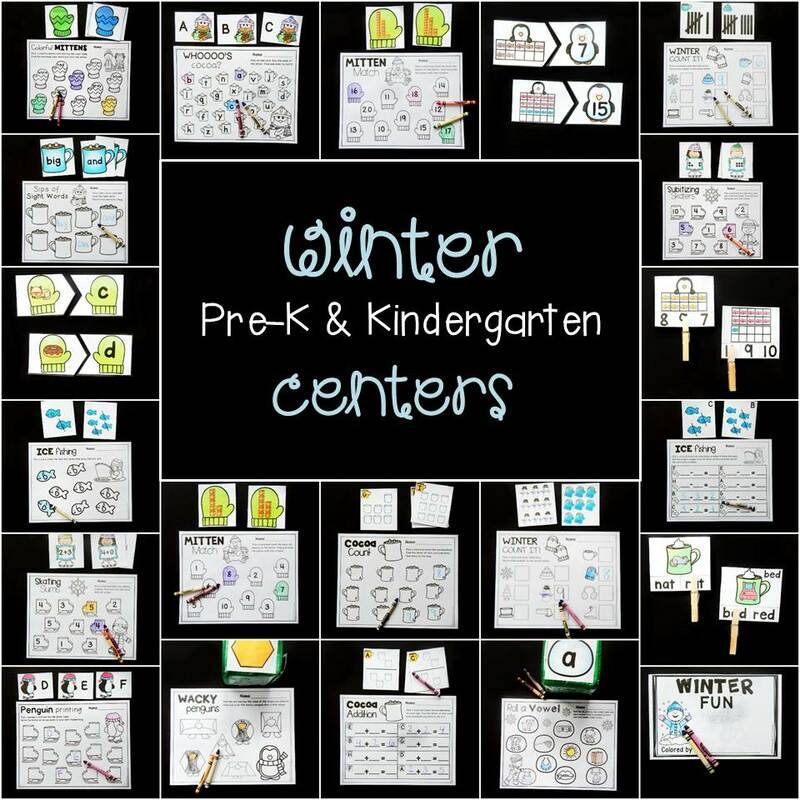 Hop over and grab our Pre-K and Kindergarten Winter Math and Literacy Centers for TONS of print and play activities that will last all winter long!